Make no mistake… he's Mega Man! Since his development in the late 80s, Mega Man's (or Rock Man as he is known in Japan) popularity has continued with fans of the games and collectors alike. Now, Mega Man will make his Figuarts ZERO debut with Tamashii Nations! 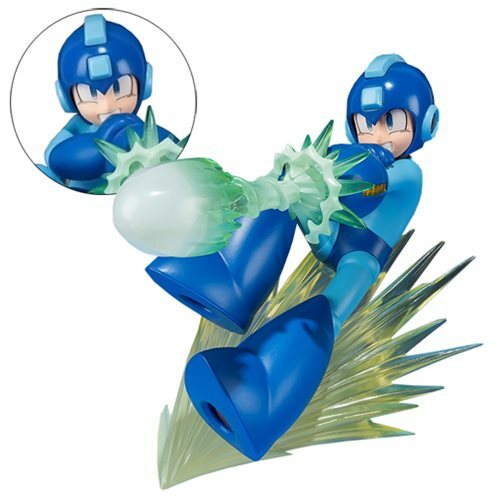 Mega Man is designed with a dynamic mid-air pose, full of action, and topped off with energetic clear effect parts! Set includes a special display stand. Measures 4 3/4-inches tall. Ages 15 and up.